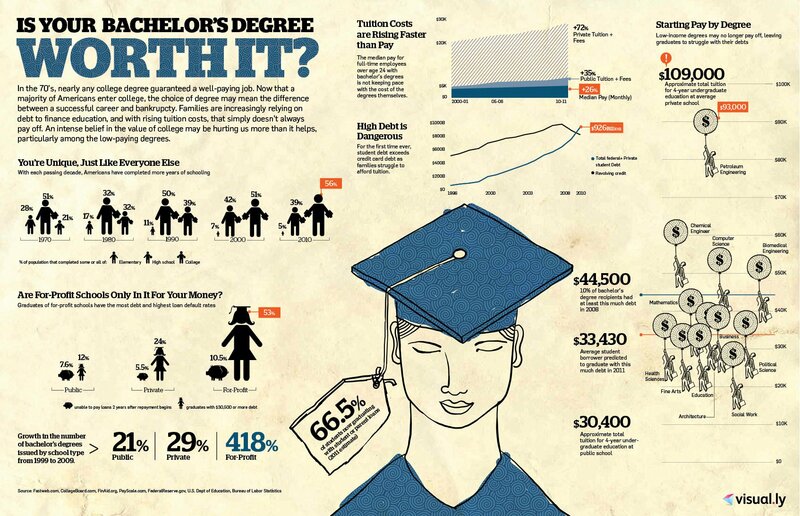 Infographics of the Week for Sept. 29-Oct 3: Is a College Degree Worth It? How does the writer try to engage an audience, even an audience who may not initially care about the topic? Is the text or the visual design most important in each of these? How does the use of color and white space affect your ability to focus on the main message of the infographic? How is font size used to emphasize certain facts? Does the infographic make a claim or develop an argument? If so, how can you tell? If you would like a certain topic/theme covered in “Infographics of the Week,” let me know in the comments or through email. If you develop additional questions for use in your class and would like to share, please do! Do Rigid College Admissions Leave Room for Creative Thinkers?